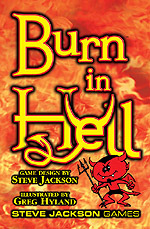 Burn in Hell was listed in GAMES Magazine's "The Games 100" for 2005. 168 full-color cards, score pad, pencil, and rulesheet. Collect the souls of the damned! 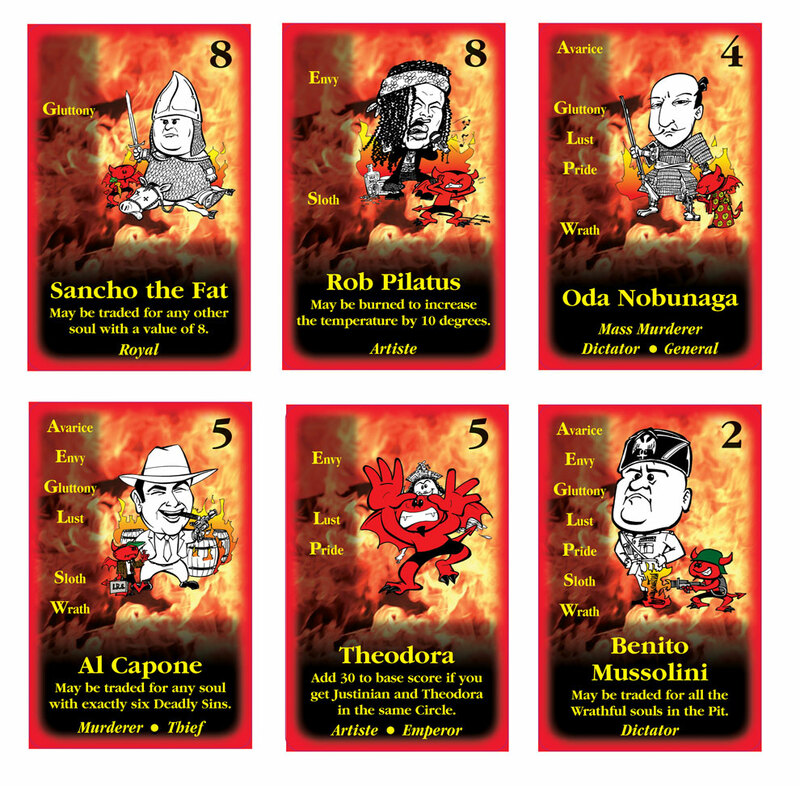 In Burn in Hell, you try to assemble the tastiest "Circles" of history's sinners. Trade souls with your rivals . . . or just steal the ones you need. Collect groups of Mass Murderers, Cannibals, or even Clerics . 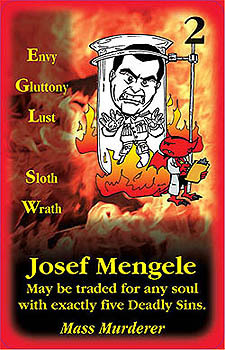 . . or build sets of the Seven Deadly Sins. Burn in Hell will keep you on your toes – can you see the sets that fit together for the most points? Can you steal a rival's key card before he can make a Circle? 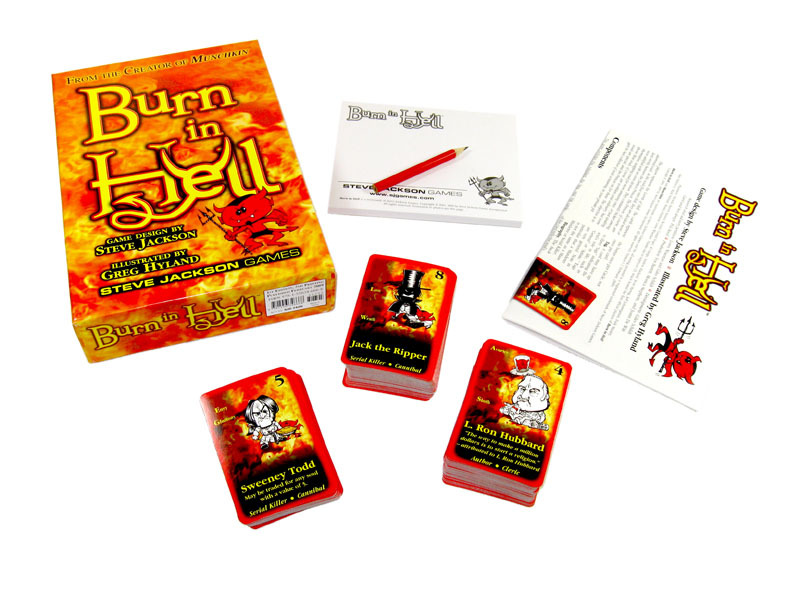 Review the Fast Play Rules originally created for Burn in Hell. Download the rules sheet for the game. See the list of cards in the game. 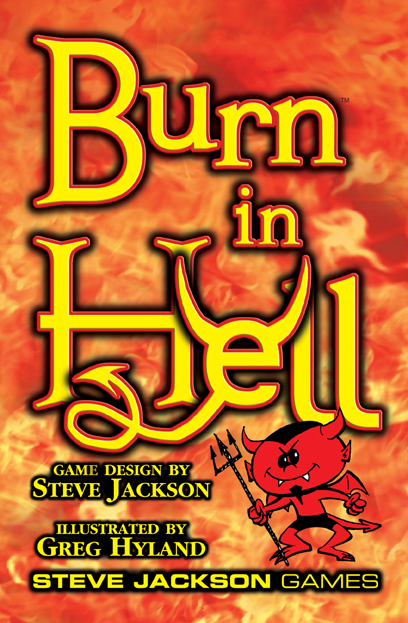 Discuss Burn In Hell in the Steve Jackson Games Forums.